Disclaimer: If you do not like feeding live foods or have issues with killing insects, please do not read this story! Today, while outside in my yard, I found a grasshopper hopping about. I decided to capture him and feed him to the hermit crabs due to some members of the HCA feeding different live insects and having good results. I have an entire jar of freeze-dried grasshoppers. 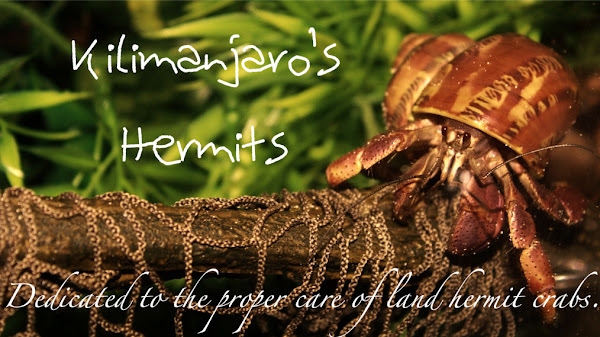 Unfortunately, my hermit crabs don't always go crazy for these. They may nibble at a leg here or there, but they never devour them... like they did tonight with the live grasshopper I put in! To subdue the grasshopper, I captured him in a jar and froze him for ten minutes or so. This slows down his metabolize severely, but doesn't kill him. After he's been out of the freezer for a little, I put him into the crabitat, and he slowly started regaining his mobility. He didn't even have time to start walking before the crabs started munching. The grasshopper was completely torn apart! There are legs everywhere, the body is severed in half... these hermies really went to town on this bug! That said, my hermies really seemed to enjoy Mr. Grasshopper! As terrible as this is to say, it was quite funny and entertaining. Go crabs! Bannerizer made it easy for you to promote ClickBank products using banners, simply go to Bannerizer, and grab the banner codes for your picked ClickBank products or use the Universal ClickBank Banner Rotator to promote all of the available ClickBank products.